New discoveries and technologies reveal how dinosaurs lived, moved and behaved. 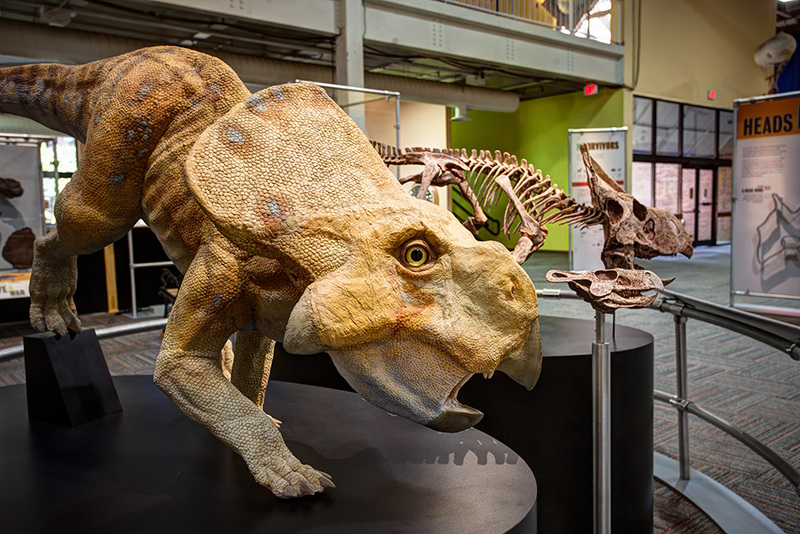 This exciting exhibition showcases the world of modern paleontology, introducing a dynamic vision of dinosaurs and the scientists who study them. Find out how advanced technologies allow scientists to look at fossils in fresh ways. Examine realistic models and casts, and see dinosaurs walk, run and move their long necks in fantastic computer simulations. This exhibition is designed for caregivers and children to explore together. Dinosaur Discoveries: Ancient Fossils, New Ideas is organized by the American Museum of Natural History, New York, in collaboration with the California Academy of Sciences, San Francisco; The Field Museum, Chicago; the Houston Museum of Natural Science; and the North Carolina Museum of Natural Sciences, Raleigh.